A new Toyota Camry has been spotted cruising around with your standard automaker camouflage, but under all those swirls it looks racier than most—you know, for a Camry. Some are suggesting that a TRD “performance” model is in the works. Is Toyota really serious about a sporty Camry? If so, why? 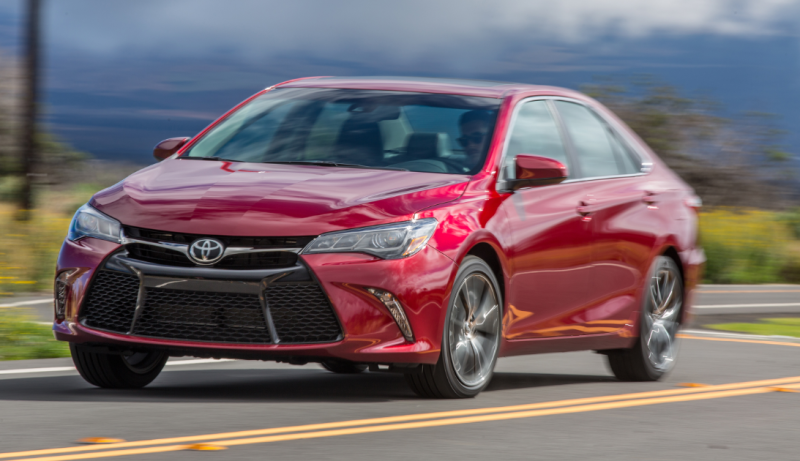 According to Automotive News, the 2018 Camry should be sleeker and “sportier” than the current generation, though it does not look more grounded to the ground than the car that came out in the mid 2000s. Two of the big rumors surrounding the new Camry are replacing or supplementing the V6 with a 2.0-liter turbo four and a possible TRD “performance model.” The switch from a V6 to a turbo four seems logical, as many mainstream automakers are downsizing their motors and replacing them with smaller engines using forced induction. Toyota already has a very nice four-cylinder turbo that they use in several Lexus models; it would make sense to also use it in a Toyota model as well. But why? It’s not like the current market is kind to midsize sedans right now. Furthermore, there is no real market demand for a fast Camry. No other mainstream automaker has a dedicated performance variant of their mid-size sedan. And before you jump into the comments with the Fusion Sport, let me remind you that we found it to be a bit of a letdown as far as sport sedans go. It was a nice car with a bit of power, but not the budget Audi S4 we had hoped it would be. Honda, Hyundai, Mazda, and Kia all have sporty trims and some offer upgraded engines for their mid-size sedans, but none of them are selling something that would really excite enthusiasts. Also, Toyota’s TRD-badged sedans and coupes don’t really have the reputation for dramatic performance upgrades, but rather some off the shelf parts and accessories that add a little sportiness while still retaining Toyota’s build quality and warranty. Maybe Toyota will shock us all with a Camry Sport with a 300 horsepower turbo four, Brembo brakes, and wildly aggressive suspension tuning (and a manual? Oh, who am I kidding) but if they can’t even bother upgrading the performance for the one real sports car in their lineup, I can’t imagine they are going to put much effort into making a Camry throw down hot lap-times. What we are probably seeing is just the next XSE trimmed Camry, for folks who want their commuter car to look a little bit cooler.